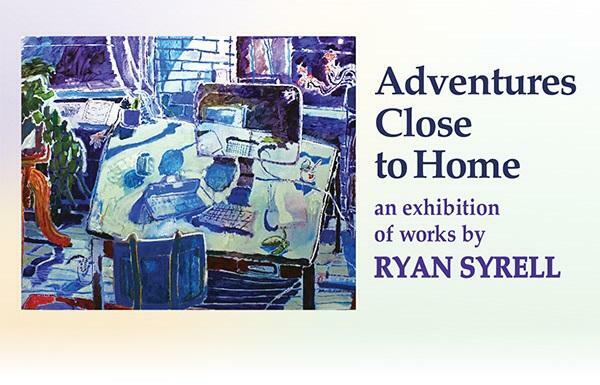 The works in Ryan Syrell’s Adventures Close to Home depict intimate domestic spaces and objects – paintings which grow out of running dialogues and exchanges, relationships, personal histories, and trajectories. They navigate bedrooms, kitchens, tables, desks, and dressers – seeking out, and celebrating a cluttered and cacophonous intimacy. They present keys, cups, plants, computers, paintings, pens, shadows, movements, and absences with equal significance. Syrell paints in a manner that articulates a sense of movement, interconnectivity, and slippage with regard to language and perception. These paintings inhabit the peripheral moment before sensation and language are reconciled in one another. Simultaneously joyful and anxious, manic and celebratory, these spaces can feel overwhelming or claustrophobic, but also by turns calm, ludic, and absurd. The artist employs a form of painting concerned with imbuing vitality into the mundane — seeking out, amplifying, and articulating beautiful moments without ignoring the pervasive anxiety of the time. It was on Bali, “Island of the Gods,” that designer Stacy Stube was inspired to create the luxury fashion house of Elsa Fitzgerald. Inspired by the island’s traditional Kebaya dress, the exhibition The Art of Lace features nostalgic, detail-oriented fashion dresses created by Stube, a current Bromo Tower resident artist. 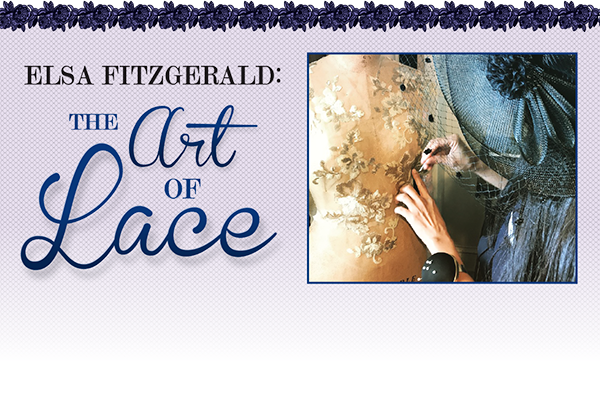 Many of her pieces feature hand-sewn floral lace motifs that combine 1920’s elegance with Balinese craftsmanship.